Its now been several months since Roman Reigns’ heartbreaking announcement. “The Big Dog” opened up an October episode of Monday Night RAW to announce he has been diagnosed with leukemia. The disease is something Reigns has battled and beat before when he was younger. Now, however, it has returned, and as a result, he was forced to relinquish his Universal Championship. Reigns has since been taking time from WWE to focus on his health and spend time with his family. Recently, Reigns was photographed with a fan in Hawaii while on vacation. The former World Champ was in the gym getting a workout in, and looked to be in great shape and good spirits. 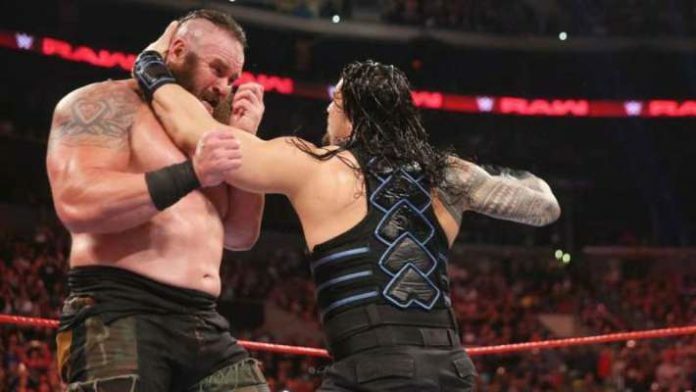 Now, in a recent interview with WrestlingNewsCo, Braun Strowman has provided an update on his longtime rival. Do you think Reigns will be able to get back in the ring at any point this year?